Do you need an Air conditioning service? 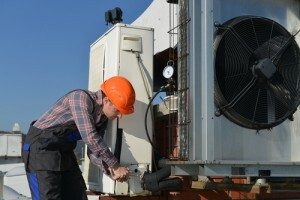 At Mechanical Cooling Air Conditioning and Refrigeration, we can service any type or model of AC units. Our certified technicians are experts in their field and trained to maintain, repair and install all makes and models of home, commercial and heating equipment. Also, each of our techs has years of inspecting and servicing commercial HVAC service in South Florida. It is mandatory for each of our technicians to complete a full in-house training to keep them up to date on the latest AC units, heating equipment and technology. Our quality services are like no other AC company. We ensure a proper ductwork insulation and an accurate installation of the copper refrigeration pipe. When choosing our services, you know the job will be done right, and we will spend as much time as needed to ensure the job is done perfectly and within budget. With a regular maintenance on your home or commercial HVAC equipment, you will prolong the life of your equipment. Also, the most known reason for AC units breaking down are dirt related. For obvious reasons, a maintenance is important and better than having to purchase a new unit and spending more money. Also, you can save and reduce your energy bill by 5 % by performing HVAC maintenance. For many years, Mechanical Cooling Air Conditioning Service and Refrigeration has been the top AC company for HVAC service in South Florida. From air conditioning repair to HVAC installation, we have affordable prices that can suit your budget solution for both commercial and residential AC units. All of our staff are licensed and certified HVAC technicians. They are trained to provide expert advice to help you with any HVAC problems you may encounter. We also offer AC maintenance contracts to keep your systems running for years to come. In short our home and commercial HVAC company in South Florida is a full-service provider of everything HVAC related! Call today at 954-397-2527 Broward County or 561-594-3621 Palm Beach County or visit quote Form and we will get back to you shortly.